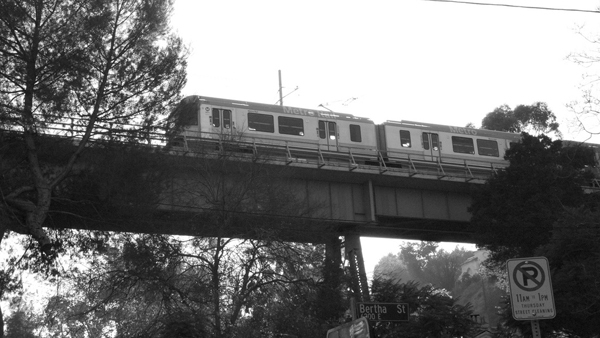 This is the Gold Line on the bridge that crosses the Arroyo Seco — a very photogenic spot. I like the black-and-white here, especially with the trees in the foreground and a hint of the hills under the bridge. The subject of the photo is an urban transit system, but the setting hints at it being almost rural.